Iggy (left) was born in 2005 on our friend’s bed; they didn’t know their cat was knocked up. He likes salty food and has gotten his head stuck in more than one box of crackers. Olive came to us as a stray, into our triple-door-locked apartment building. No one in the building claimed to let her in. She is obsessed with our baby and wants to be around her all the time. 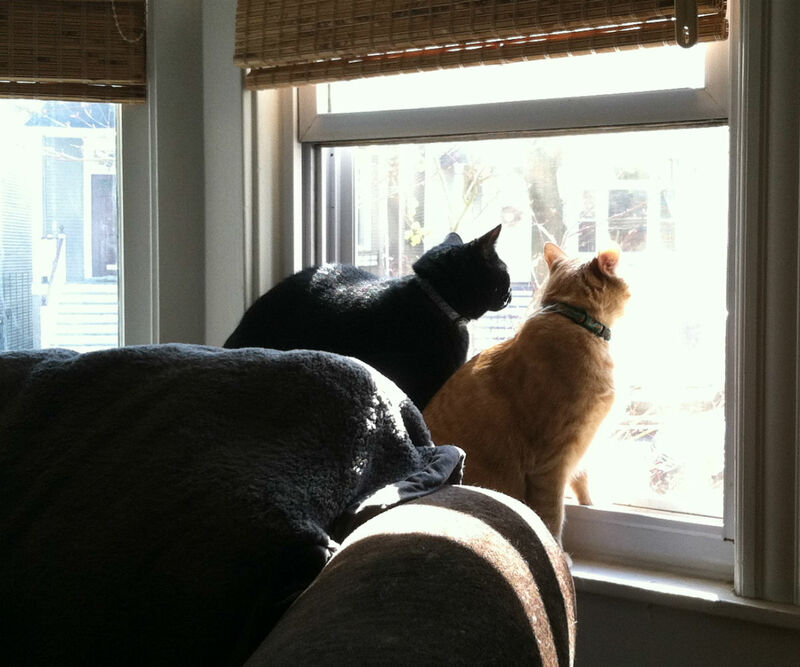 Iggy and Olive mostly hate each other, but there was a bird in the tree outside, so that trumped all other feelings. Friendship Pet Food Pantry (FP2), a volunteer-run program of The Friendship Center, provides high-quality pet food to Chicago residents in need and informs them of low-cost health services. The aim is to reduce the number of dogs and cats surrendered to shelters or abandoned each year because their owners cannot afford food or veterinary care.